There’s, usually, no better companion for mashed potatoes than gravy, but with these au gratin-inspired potatoes, with their creamy decadence and crispy cheese topping, they're more than enough by themselves. You can slice the potatoes with a knife, but for even cooking, do so as thinly and uniformly as possible. Thinly slice potatoes on a mandoline and place in a pot with milk, cream, and salt; bring to a boil over medium-high heat. Cook, stirring frequently to prevent scorching, until potatoes are tender and nearly all liquid evaporates, about 30 minutes. Crush potatoes with a masher to desired consistency. Preheat broiler to high with rack 6 inches from element. 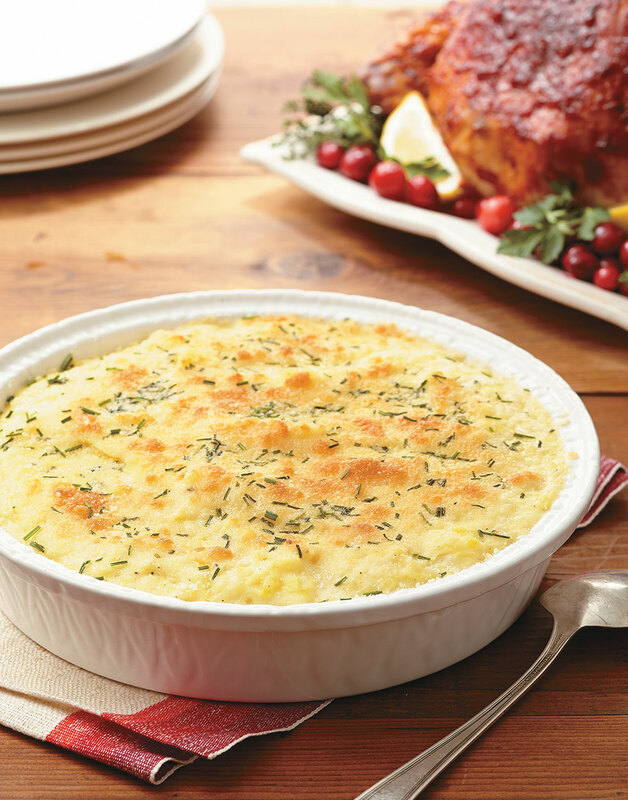 Transfer mashed potatoes to a broiler-safe, 1½-qt. bowl or dish. Combine Parmesan, chives, and pepper; sprinkle over potatoes. Broil potatoes until Parmesan melts and browns, about 5 minutes. Because they absorb the milk and cream as they cook, these potatoes are incredibly creamy and rich. Since the liquid is already hot and all the ingredients are in the pan, mash them directly in the pan.